Hello Friends! 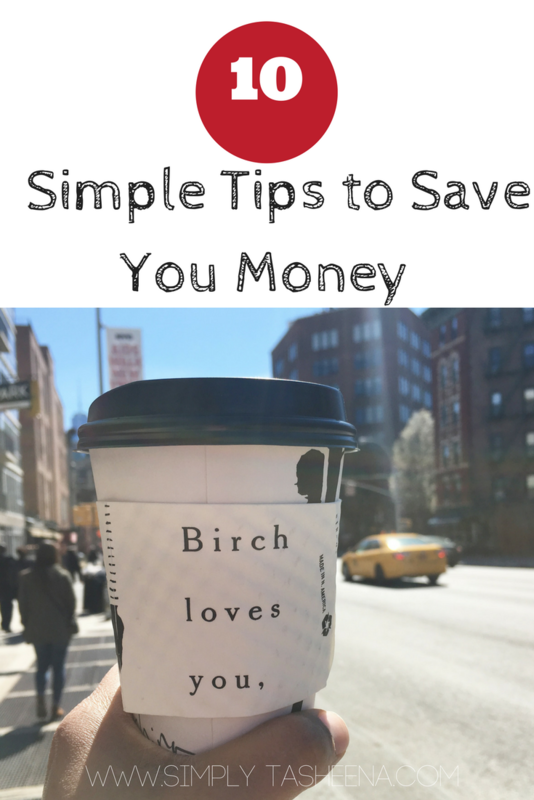 Today I'm sharing Ten simple tips that you can incorporate in your life to save money. These are tips that I use and implement on a daily basis. As many of you know, my family and I are currently on a debt free journey. Trust me, ever little bit counts. I'm one of those people who really try to be as frugal as possible when it comes to purchasing big ticket items. My biggest suggestion is for you to create a list and identify your want and needs. This list should include the name of the product, retail price and the amount that you would like to spend. I would also suggest checking how much that item sold for on Black Friday the year prior. During this time keep a close tab on the item to ensure that you don't miss a great deals. Trust me, I've found "Black Friday" prices throughout the year. All of your favorite social media platforms have the capability to see items that you don't need. The best part about this is your items are finding a happy home and your actually making a profit. My two favorite apps to use to sell stuff is Poshmark and eBay. There are so many other great apps and sites that you can sell your used items. Don't forget about your local consignment stores as well. I buy so many things used from clothing to household items. Don't underestimate the power of paint and spray paint. I purchased my last desk for under $10 at my local savers and was able to transform it to this darling black gold desk. Now is also the perfect time to hit up yard sales. I purchased a bunch of mason jars for the fraction of the price. You know for those amazing Pinterest crafts in my to do list. Vacations are truly what you make it. You can go on vacations as much as you want as long as you plan and budget for it. One of my favorite sites to use is Groupon in combination with eBates to save even more money. I would highly suggest that if you're looking for busy times of the year. Like July. Start looking on Groupon as early as January of that year. I've learned that sometimes the best deals are planned ahead. If you have a Costco's membership. I also like to use their site for purchasing vacation packages... I am a huge fan of using what I have for the perfect date night or day date. I loved going to my local rose garden and having romantic picnic dinner outside. We are able to control our budget and bring our own food. Meal planning just makes my life slit easier. On a weekly basis I create a meal plan from Monday-Sunday. While creating that menu. I take inventory of the items I have and the items I have to pick up at the store. What I love about this is that 1. I'm not asking everyone in my home what they would like for dinner. It is what it is once the menu is created. 2. I have control of my spending. 3. I'm not running to the store everyday for dinner. I have a list of items that I need to buy from the store. But if I don't want to go to the store. I could crest a menu based off of what I have at home. I could also menu plan for the month to decrease the amount of times I'm at the grocery store throughout the month. One of the biggest lessons I've learned is to budget and stick with it. Yes, you can create a "home" budget and once your near your budget you have the discipline to not spend anymore money and going over your budget. Don't stop there. You can create a budget for pretty much everything. You just need to know how much money you have to save in order to make this a reality. Budget for vacations, proms, conferences. You name it. Create a budget for it and stick to it. Budgeting assists with knowing where your money is going. It's, prom, wedding, and graduation season. Plan ahead for it. It doesn't matter when you're reading this blog post. I know four years from now that I will be attending several high school and college graduation parties. Which means this year I have several middle school and high school graduations that I will be attending. Don't spend money you don't have. Give What you can afford. If you can't afford to give anything. Don't! You're not trying to put yourself in deeper debt buy purchasing items and paying interest on those items or over draft fees. Plan ahead and set a budget. A couple of years ago I went to a $1 sale at my local consignment store. Yes, I went a little crazy and purchased items that had no valid use to me. Guess what I did? I created a Poshmark account and was able to get rid of most of the stuff. They're so many platforms to sale stuff on. You can even sell items on Facebook now. Don't forget that you can save a ton buy purchasing items second hand. I've found so many amazing pieces NEW at my local thrift/ consignment stores for the fraction of the price. If you have something that you like doing and people have inquired about purchasing the item or service from you? Why not! They're no excuse it's 2017. No, 1997. You can literally create a business for free today with all of the amazing resources out there. If you don't know how to go about starting it. Google it!! A couple of years I learned how to say no. Was it easy at first? No, it wasn't. I didn't know how to say no. I would over extend myself to my friends and family. No, I can't participate in every fundraiser. No, I can't afford to go out for dinner but we can have coffee at my house. No, I can't go on that vacation. No, I can't let you borrow money or have money. Learn to say NO!! Saying no is life changing. Trust me, I get it. You have been an enabler for all these years. When I started saying no. The people I said no to was so mean to me like they were doing me a favor. But guess what, it feels good. What great tips! I do a lot of them. I tend to only buy things on sale, and when we go on vacation, I search for the best deal. This tips are awesome! I do some of them myself like shop the best deals (always! ), sell things I don't need, and buy used (sometimes). I still need to work on it a bit tho! 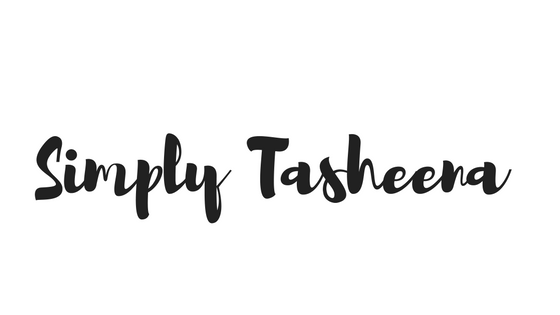 Great tips Tasheena. I agree planning ahead is very important and also saying no to the things which are not needed. We all need to remember these tips. I live and swear by numbers 8 and 10. People always think I spend a boat load of money. I always tell them "No, I let other people do that. When they're done, I come and collect all their stuff". I can't tell you how many new items I've purchased "2nd hand". When I've gotten what I need from them I simply sell it or give to the next person who's not too proud to use them. Saying no comes so easily and naturally out of me. And with a huge smile to go with it!!! This is a great tips! Being frugal is something that I've been doing for long time, and it became my lifestyle :) It is nice to save money.... And sometimes nice to spend money too for something you love and need. Great tips! I've so much stuff that I have not wear in ages and would love to sell everything! I am in the process of moving and starting to sell my things. The best idea EVER! Also just as you said, learning to say No. I use to just say yes even when I didn't want too but now...i don't care about "missing out"! I can use each and every one of these tips in spades! Thanks very much!